The United Nations Capital Development Fund (UNCDF) has launched the Financial Innovation Lab in partnership with Bank Negara and MDEC. The Financial Innovation Lab is aimed on working to drive the agenda of financial inclusion especially targeting the B40. The average urbanite scrolling through this article on their phone will very likely have access to banking services, but there’s still many Malaysians who aren’t exposed to financial services, especially in the lower and middle income market. Categorised as Aspirational Malaysians by the The United Nations Capital Development Fund (UNCDF), they have a household income between RM2,000–RM6,000 and they make up 51% of total Malaysian households, which equals to a potential market of 15 million people. Only 10% of this group has a mobile money account and only 25% use mobile phones or the internet to access a financial account, although they have access to the technology. They do have an interest in digital financial services but no real compelling reasons to use it as the products and services don’t really meet their needs. This is the gap that UNCDF wants to address. In partnership with Bank Negara and MDEC, they have launched the Financial Innovation Lab to work on driving the agenda of financial inclusion especially targeting the B40. Dictionary Time: The B40 is the Bottom 40% of the country’s population, in terms of household income. 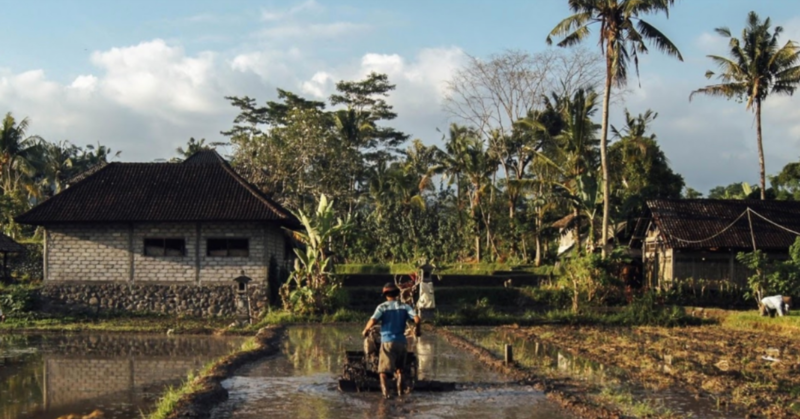 According to the UNCDF, The Financial Innovation Lab aims to achieve digital financial inclusion for the elimination of poverty not just in Malaysia but worldwide. The Financial Innovation Lab is looking for solutions and models that aim to disrupt the market and address the needs of different customer segments. Teams that participate in the programme are eligible for UNCDF grant support ranging between USD10,000 to USD100,000 and facilitation for funding to scale. 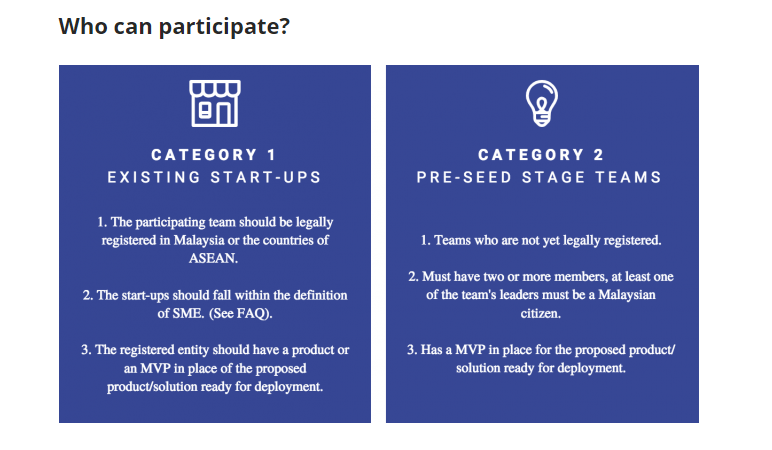 Other than receiving grants, teams selected will also have the opportunity to engage commercially with Malaysian financial and non-financial institutions to test and scale their solutions. They will also get guidance from global subject experts, UNCDF, Bank Negara Malaysia, MDEC, global financial and non-financial institutions. This is all to help low-income customers who have unique needs that current digital services may not meet. For instance, they may not have enough disposable income to meet minimum deposit amounts and deal mostly in cash on a day-to-day basis, as they do not trust digital financial services and digital platforms. Furthermore, insurance, savings, credit and other services are hosted on multiple platforms, therefore requiring customers to log in to different interfaces which can become complicated for customers with lower financial literacy. “We will also consider back-end solutions if there is a clear connection in driving customer usage of financial services. It can be a tech solution or a new business model approach. This programme is not limited to payments, but welcomes all types of solutions,” explained the UNCDF team. 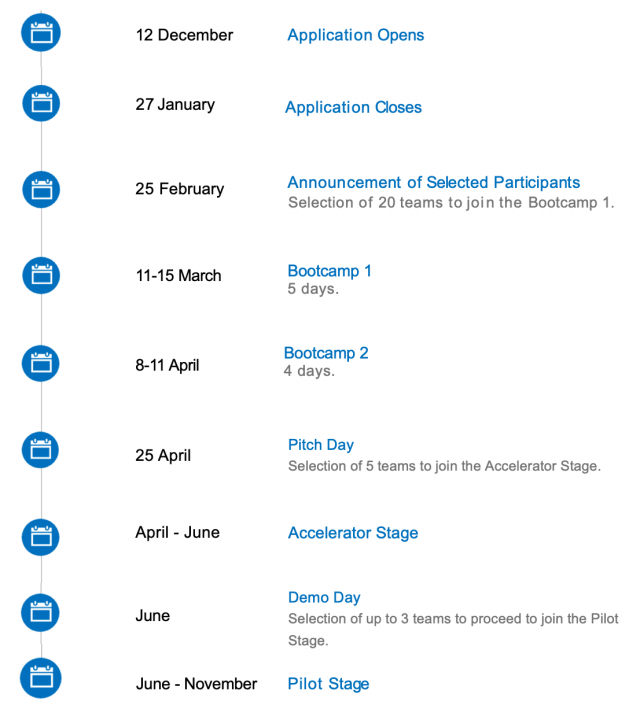 The programme will officially start with 20 teams participating in Bootcamp 1 on March 11. Over the course of the programme, only selected teams will be chosen to progress with only 3 teams left to join the Pilot Stage during June to November. Teams will be supported by enablers who will be drawn immediately after the application process and will remain with them throughout their journey. Updated timeline from UNCDF (Feb 18, 2019). “On-boarding enablers is an ongoing process. We have already been joined by a couple of banks and non-bank actors and we would keep adding them in this process up to application closure,” explained the UNCDF team. UNCDF will support the selected teams in either deploying their solution or refining it. The participating teams will be closely supported for their specific needs and in doing multiple rounds of iterative testing. Update on February 18, 2019: UNCDF has informed us that due to the number of applications they’ve received, they will now be announcing the participants on February 25, 2019. For those interested to find out more about the programme you can check it out here.